So here’s the lace pattern that I finally settled on for the aguas sweater. It’s “Roman Stripe” from a Barbara Walker book, and it’s reversible too! 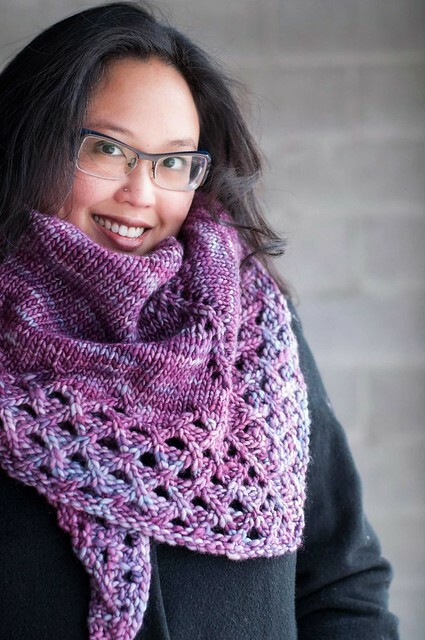 This pattern has an odd number of rows to it, and is very easy to work. Unfortunately this swatch lied to me a bit – I cast on using the 6 sts/in that I got in this swatch and it was WAY too big. 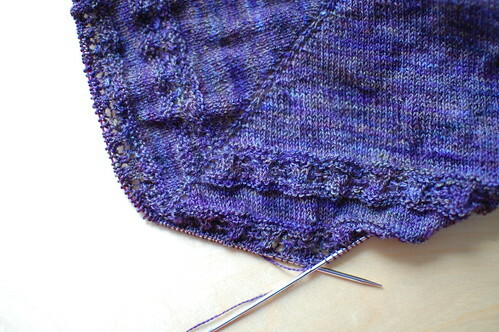 It’s taken a few restarts for me to be happy with the size, so I think I’m finally on my way with this project. 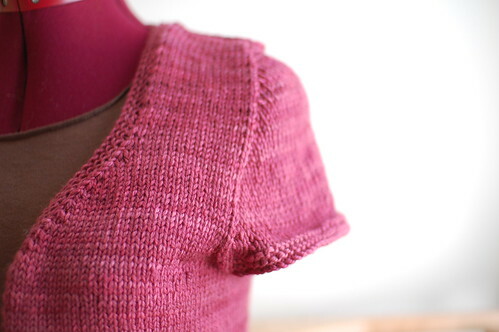 I did get sidetracked by the little pink sweater in my last post, and have worked up almost 2 whole sweaters in the last week and a half! I guess I’m having a bit of a burst of pattern creativity at the moment, which is great. 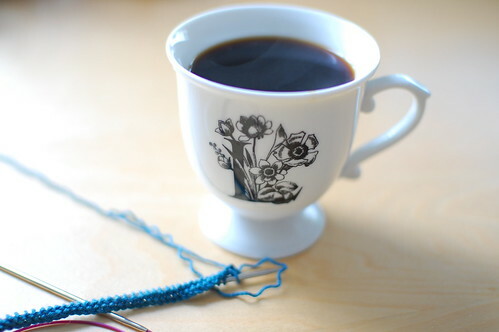 Time to go and knit! Off to do some necessary shopping in the sunshine! I really can’t handle the caffeine from coffee or tea (boooooo) so I’ve just not been drinking them. Then I realized that do have some nice decaf beans! Hurrah! Made some strong espresso in the mokapot and having it in my favourite mug from Anthropologie. 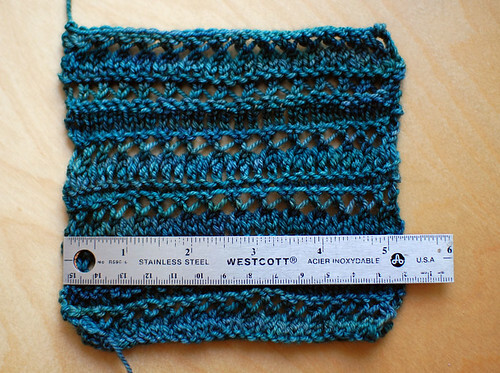 Starting a new swatch, too – Lorna’s Laces Shepherd Sock in Douglas Fir.